Ten-year-old Wyatt and eleven-year-old Hannah uncover the dark world of illegal dog fights when they trespass at a Vermont farm and peep through a barn window. And when crotchety old Lester Cranshaw’s dog, Paddy, turns up missing, there is no holding him back from investigating the situation and the kids join in. In the dead of the night, after the trio are captured and held hostage at the Inglis farm, Wyatt will need all of his wits and courage to escape in order to save the lives of his friends. THE DOG MEN draws the reader into a tempest of animal abuse, lawlessness, and kidnapping within the confines of small-town happenings. A chilling plot and a peerless relationship between kids, adults and pets. 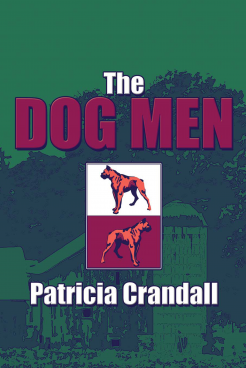 THE DOG MEN is Patricia Crandall’s third published book. 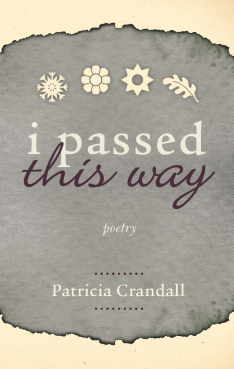 She has two books in print: Melrose, Then and Now, a historical volume, and I Passed This Way, a poetry book. She is currently working on an adventure/thriller novel and a book of bottle mining adventures. She lives with her husband, Art, at Babcock Lake in the Grafton Mountains near Petersburgh, New York.